I usually pair this top and scarf together as a go-to outfit but decided to add the argyle vest into the mix and mix prints together. Since it’s all different shades of purple, I think it worked out pretty well. That or maybe I’m biased! 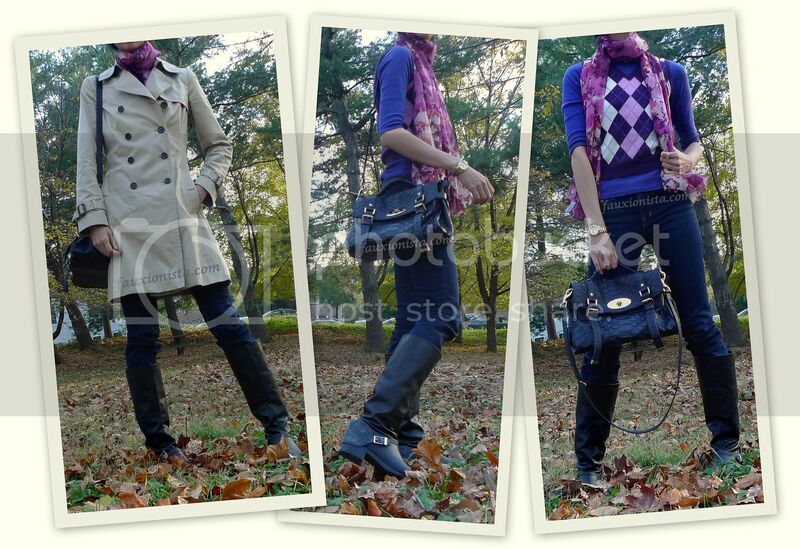 This entry was posted in Fashion, Outfit and tagged Alexa, Banana Republic, Cole Haan, Forever 21, J Brand, Kate Spade, Loft, Mulberry, nightshade, purple, ZARA on November 12, 2012 by fauxionista.